The past year sure has been a wild ride. Although the year isn’t quite finished, there is still time to make good on some of your health goals. People frequently start out with the noblest intentions to improve their health and get in shape, but they never quite fulfil those aspirations. It always seems to be around this time of the year that we reflect on our gains and losses. There is family coming, big events and lots of things to think about. For many people starting out, the thought of signing up a monthly contract at a large gym is exciting and inspiring. After a couple months (or sometimes just weeks) the harsh realization hits. Gyms aren’t for you. 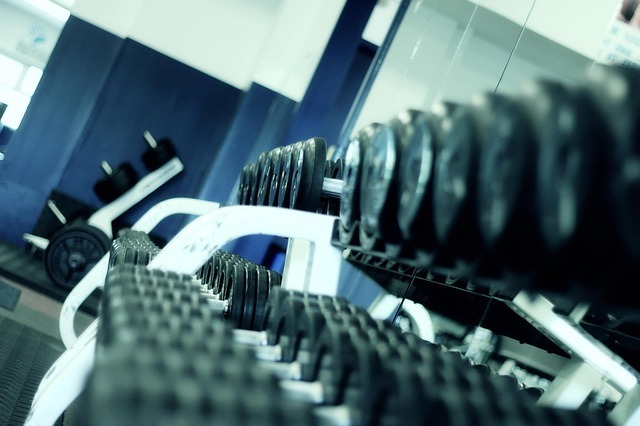 Whether it’s the crowd, shared equipment or the often loud, annoying music, there are plenty of reasons why large gyms aren’t the most welcoming of environments. Here are some reasons why selecting a smaller facility, or private fitness studio can help ignite the motivation to reach this year’s goal to get in shape! Large commercialized fitness centers and big name gyms are notorious for being overcrowded and usually at the peak times when most people can workout. No one likes sitting in traffic, and no one likes waiting for equipment. The issue is often, that peak times are too busy to deal with. It’s natural for gyms to have busy periods, but some are busier than others. Large crowded facilities are often noisier, making it more difficult to concentrate and focus. Large gyms also tend to draw small groups of people working out together, sharing the equipment together and talking together, loudly. While some people prefer the loud environment, many find it distracting! There is also a general cause of worry with hygiene. With so many people congested into one exercise facility, it is a daunting task for staff members to keep machines clean, or provide much dedicated attention to questions. The bigger the gym, the more people are using the machines. It’s that simple! Getting a personal trainer is a big step towards improving your health. Often, the brand name gyms hire younger, inexperienced trainers who are willing to get paid less and start their career. This is not the case at a private gym, where often the owner and the trainer are the same person. Getting expert advice on technique can be the difference between performing a series of exercises correctly, and possibly being injured. It’s a skill to learn how to get in shape, and getting professional help is very important. Personal attention also helps boost the self-esteem of people struggling to get in shape. Just a little encouragement from a caring staff member or personal trainer can be the difference in someone staying with his or her program, or giving up. Getting started on the journey towards a healthy, fit lifestyle is the first hurdle to overcome. However, staying motivated is vital to attaining that objective. Being part of the cozy and comfortable atmosphere, inherently found in smaller private fitness studios, is a great way to maintain that motivation and ultimately realize that elusive fitness goal.